Clitheroe construction company, Bailey Contracts offer complete project management & construction of any size of building project for retail, commercial or domestic use. 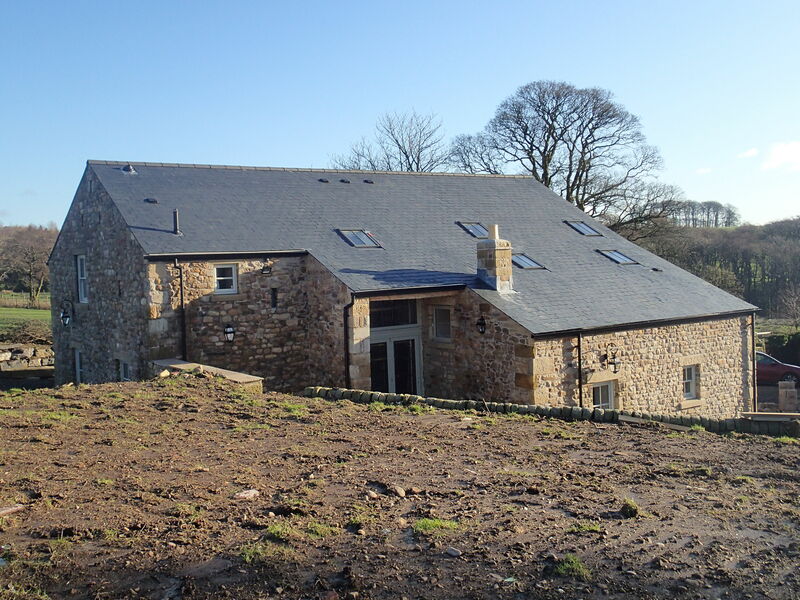 From traditional dry stone walling through to modern house builds & barn conversions and demolition & site clearance through to a clean & well finished interior. Based in Clitheroe, construction company Bailey Contracts (NW) Limited, have carried out construction work ranging from house extensions to the construction of large commercial premises. Some of our most recent construction projects in Clitheroe and the North West include Shackletons Garden Centre, Bashall Barn, Higher Spen Equestrian Centre and many more…. Bailey Contractss construction company in Clitheroe, is firmly established as an efficient and trusted construction company working throughout Lancashire and the UK. We offer complete project management and a tailored service. Our workforce of qualified tradesmen and operated machinery ensure that every aspect of work from construction to landscaping and interiors can be undertaken from within the company. Dedication to all our construction projects and professional and efficient service means that Clitheroe construction company Bailey Contracts (NW) Limited is a name you can trust. Bailey Contracts will undertake any project of Construction in Clitheroe, Lancashire and across the UK.